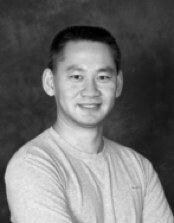 Patrick Lor, co-founder of iStockphoto, a Getty owned-online marketplace for microstock photography and video, has joined rival Fotolia as the President of Fotolia North America. iStockphoto and and Fotolia, which were both launched around the same time and serve the same purpose, have a long standing competition in the microstock photography space for the best images, the most talented contributors and customers. Lor retired shortly after Getty Images, one of the leaders in stock photography, purchased iStockphoto in 2006 for $50 million. According to Lor, his non-compete contract expired with Getty recently, which left him available to get back into the stock photography business. iStockphoto was initially launched to democratize photography and let all people use images, Lor says. He was disappointed to hear of iStockphoto’s aggressive price increases following the Getty acquisition and maintains that Fotolia’s prices are much more fair for consumers. Lor says that Fotolia has a lot of potential for growth, which may be true. According to ComScore, Fotolia reached 3.7 million unique visitors worldwide in March, up from 2.3 million in January. iStockphoto had around 5 million unique visitors in March, dropping slightly from 5.2 unique visitors in January. Lor hopes to launch some new services in the future but won’t reveal what those are just yet. In February, Fotolia reached its one millionth registered member and has 5 million stock images for sale, for as little as 14 cents, and typically a dollar or two. Images at iStockPhoto start at $1.50 per image and go up from there. Fotolia says it is registering new members at a rate of 3,000 per day (86,800 per month). Fotolia also started recently selling stock video (something iStockphoto has been doing for a while).